Rachael Sage, skilled vocalist and award-winning NYC based recording artist, returns once more with an album that so perfectly demonstrates her expert musicianship and versatility as an artist. Sonically, Myopia is a bold departure for Sage, with a much stronger emphasis on her guitar playing over her usual piano palette, with inventive contributions by Hoboken-based guitarist James Mastro (Patti Smith,Ian Hunter) who Sage affectionately calls “the king of wah.” Produced by Sage and her longtime engineer John Shyloski, Myopia was recorded last summer at Carriage House Studios in Stamford, CT as well as at Sage’s home studio in NYC’s East Village, and you can feel the swelter. 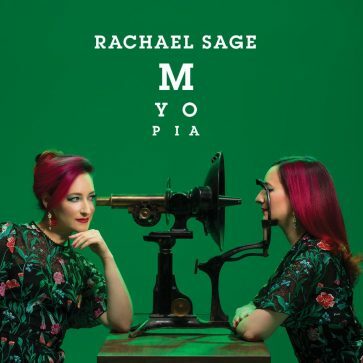 ‘Myopia’ is the eponymous track from Rachael’s new album (which is set to be released on the 19thof October), and it is a track that showcases the depth of Rachael’s musical talent. With a strong piano base and a vocal part that introduces us to Rachael’s softer side, this song is a real triumph.